THE unearthing of a medieval boat on the north Suffolk coast is of “great national importance”, the archaeological team behind the discovery said last night. As reported in yesterday's EADT the remains were found during excavations at Sizewell in advance of the onshore works for the Greater Gabbard Wind Farm. The vessel, which was probably a small inshore fishing boat, was broken up sometime between the 12th and 14th Centuries and parts of its hull were re-used to create a timber lining for a well. Archaeologists have found the remains of a 4,000-year-old Neolithic settlement in Wrexham. The Clwyd-Powys Archaeological Trust (CPAT) is excavating the site at Borras Quarry, and hopes to discover evidence of timber houses. They began digging after cooking pits were discovered during work to expand the site, which is owned by Tarmac. The mining and construction company said topsoil removal nearby had ceased to allow artefacts to be retrieved. Cornwall's historic environment service and Penzance-based maritime archaeologist Kevin Camidge have been commissioned by English Heritage to carry out a marine environmental assessment of the Royal Anne Galley, a protected wreck lying in about five metres of seawater off the Lizard Point. It follows a historical study of the wreck undertaken by HES in 2005. Charles Johns, senior archaeologist from HES said: "This project is particularly important because it is the first environmental assessment of a protected wreck to be commissioned and will enable the council's Historical Environment Service to be a key player' in developing methodologies for assessing and managing protected wreck sites." 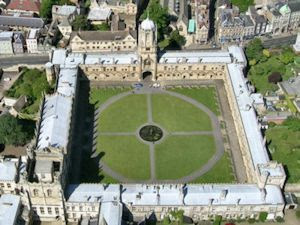 Readers may be interested in a new website: ArchaeologyExpert.co.uk. ArchaeologyExpert was formed to offer a unique reference point on extensive information on archaeology, archaeological sites, excavations and artefacts. Information on all aspects of archaeology - including archaeological facts, myths, famous archaeologists, and sites of archaeological interest. Our features and articles are written by professional journalists and experts - who have a particular interest, or a background in this area. You can find the site here, or use the link in the sidebar under Multi-Media Resources for Archaeology. A campaign has been launched to bring the Bayeux Tapestry, one of the world’s great works of art, back to Britain for the first time centuries, and put it on display in Canterbury Cathedral. The famous embroidery of the 1066 Norman Conquest is the subject of a major conference of world experts being held at the British Museum next month. Feted as the most famous cartoon strip of history, the tapestry was made in Britain but never displayed here and now historians believe we should take advantage of French president Nicolas Sarkosy’s friendship with Britain and ask for the chance to bring it home. ARCHAEOLOGISTS have unearthed more fascinating finds at a 2,000 year old Roman village. A quern stone which is used for grinding corn has been found at Catcote Village in Hartlepool. What is believed to be an oven has also been discovered at the site, which is now part of the Summerhill outdoor adventure park. An archaeological excavation at a site near Pulborough, West Sussex, has thrown remarkable new light on the life of northern Europe’s last Neanderthals. It provides a snapshot of a thriving, developing population – rather than communities on the verge of extinction. The team, led by Dr Pope and funded by English Heritage, is undertaking the first modern, scientific investigation of the site since its original discovery in 1900. During the construction of a monumental house known as ‘Beedings’ some 2,300 perfectly preserved stone tools were removed from fissures encountered in the foundation trenches. A chemist of Vienna University of Technology demonstrates how chemical fingerprints of volcanic eruptions and numerous pumice lump finds from archaeological excavations illustrate relations between individual advanced civilisations in the Eastern Mediterranean. Thanks to his tests and to the provenancing of the respective pumice samples to partially far-reaching volcanic eruptions, it became possible to redefine a piece of cultural history from the second millenium B.C. Vienna (TU). During the Bronze Age, between the years 3000 and 1000 B.C., the Mediterranean was already intensely populated. Each individual culture, whether it may be the Egyptian one, the Syrian one, or the Minoan culture from Santorini, has in most cases its own well-researched, chronological history. However, the connection between these individual cultures and locations is often missing for the most part because more often than not, there is no correspondence or similar exchange that has taken place, has been preserved, or is comprehensible. It is so much more difficult to synchronize the individual cultures among themselves. The discovery of an ancient city buried beneath the sands of modern-day Syria has provided evidence for a Hellenistic settlement that existed for more than six centuries extending into the time of the Roman Empire. The site provides a unique insight into the structures of a pre-Roman Hellenistic settlement. The project, funded by the Austrian Science Fund FWF, sheds new light on city life in the Hellenistic period. The Syrian deserts have long kept an important secret hidden deep beneath their sands - the remains of the pre-Roman Hellenistic settlement of Palmyra. Until now, the only evidence for the existence of such a settlement was to be found in historical writing. As part of an FWF-funded joint project, the Institute of Classical Archaeology at the University of Vienna, the German Archaeological Institute and the Directorate General of Antiquities and Museums in Syria have been the first to track down the location of this early city. Moreover, their findings are now producing a unique insight into the structures of a pre-Roman Hellenistic settlement. Dozens of tools thought to have belonged to Neanderthals have been dug up at an archaeological site called Beedings in West Sussex. Dr Matthew Pope, of University College London, said the discovery provides new insights into the life of a thriving community of hunters at the site. The tools could have been used to hunt horses, mammoth and woolly rhinoceros. The archaeologists, funded by English Heritage, have been carrying out their investigations over the last few weeks. In the Italian countryside, the ancient Roman feast of Vestalia is being revived. Six modern Vestal Virgins have presided over an event that used to mark the end of the harvest. It's part of a growing trend of "experimental archaeology," to teach history in a more interactive way. The Vestal Virgins gathered at the Temple of Vesta to revive an ancient ritual. They celebrated the "Vestalia", Rome's week-long feast from ancient times marking the end of the harvest and the beginning of a new season of work. Adriana Serpi, Member of Senate & Roman People Cultural Club said "During the Vestalia, noble Roman women were allowed the honour of approaching the temple. During the celebration that we are reviving today, the temple was washed with spring water, and actually donkey dung was cleared away." Extra staff have been dispatched to guard the great cultural gems of Greece as the government in Athens tries to deflect growing criticism of its handling of national treasures. Amid unprecedented protests from tour guides, travel companies and tourists irritated by conditions at prime archaeological sites, the ruling conservatives last week rushed hundreds of additional personnel to staff museums and open-air antiquities. "The situation at museums and sites around the country is bad," the culture minister, Michalis Liapis, conceded in parliament last week. "It has to be corrected." AN exciting archaeological find has been donated to Andover Museum. The bronze, Saxon hanging bowl was discovered near Kimpton by local metal detectorist Michael Robbins. He took it to the Hampshire finds liaison officer, Rob Webley, in Winchester. Mr Webley, whose post is part of the national portable antiquities scheme, said: "It was covered in mud and a far cry from its current appearance." The bowl dates to between 600 and 700AD. Such bowls appear to accompany what archaeologists call sentinel burials of men on the edge of a tribal boundary. Intere-stingly the bowl was found near to a Bronze Age barrow cemetery, which was investigated by the Andover Archaeological Society in the 1970s. It's not unusual to find Saxon burials near to those of earlier periods. The archaeologist team of Bulgaria's Georgi Kitov has unearthed precious jewels, dating back from second or third century in Drumeva Mound near the Town of Sliven, the manager of the expedition himself announced. The scientists found golden earrings, silver bracelets and three bronze rings in a Roman brick tomb of woman, buried in the mound. A mourning bronze coin was discovered in the mouth of the skeleton and there was clay beads round its neck, the deputy-head of the group, Nikolay sirakov, revealed. A Thracian tomb with semi cylinder arch was found by archaeologists in the territory of the south seaside Tserovo municipality. Tombs of this kind haven't been found to the moment in the Strandja Mountain, the chief of the excavations works Daniela Agre informed. Undoubtedly the tomb is of a local dynasty ruler, who used to govern Southeastern Thrace and most probably controlled the production of ore.
Veliko Tarnovo. A burial site of an apparently notable boyar was found at an excavations site near the St. Ivan Rilski church, located close to the town of Veliko Tarnovo in Bulgaria, Prof. Nikolay Ovcharov, part of the excavation team, said in an interview for FOCUS Radio – Veliko Tarnovo. The site is yet to be processed and works are expected to continue throughout the afternoon. The Archeologist noted that a large golden ring was found on one of the fingers of the skeleton’s right hand, depicting a two-headed eagle. Two wine presses found in Egypt were likely part of the area's earliest winery, producing holy wine for export to Christians abroad, archaeologists say. Egyptian archaeologists discovered the two presses with large crosses carved across them near St. Catherine's Monastery, a sixth-century A.D. complex near Mount Sinai on the Sinai Peninsula. More presses are likely to be found in the area, which was probably an ancient wine-industry hub, according to Tarek El-Naggar, director for southern Sinai at Egypt's Supreme Council of Antiquities. Work starts this week to investigate the archaeology of land earmarked for a new park and ride site in Enderby. The park and ride service will start in Autumn 2009. Before work can commence on the £9million park and ride site, the County Council is taking steps to uncover, record and remove any archaeological remains. The investigations will try to uncover evidence of how people were living 2000 years ago just before the Roman invasion, building on previous works in the Enderby area. These have uncovered houses and farmsteads of our Iron Age ancestors who were farming this part of the Soar valley. The investigations could be an exciting addition to our knowledge of the heritage of this area. ARCHAEOLOGISTS have begun excavating a quarry near Wrexham after evidence of a Neolithic settlement was uncovered. The exciting discovery was made at Tarmac's Borras Quarry, off Holt Road, near Wrexham and archaeologists have begun to uncover the remains of the settlement, believed to be about 4,000 years old. The archaeologists noticed dark areas resembling cooking pits appearing as topsoil and subsoil was being removed in preparation for sand and gravel extraction. AN amateur archaeologist has been given a lottery grant to help him dig into Bolton's hidden past. Paul Kay, the founder of the Bolton Cambrian Archaeological and Historical Society, believes the moors around Bolton and Lancashire have secrets to be unearthed which may give a rare insight into life in Anglo-Saxon times and earlier. He has been awarded £9,900 by the National Lottery Awards For All scheme to help set up the society's headquarters and website, and to start exploring the moors. "I want to look at the commonly held notion that Lancashire was unremarkable before modern times," said Mr Kay, aged 39, who is a student teacher. "The moors have a lot of archaeological evidence suggesting the area might be a repository for a culture that was altered elsewhere in Britain when invaders arrived from other nations." Archaeologists have identified the remains of medieval bishops buried at Whithorn Priory in Galloway, Scotland, 600 years ago. The bones of the six bishops were discovered over 40 years ago, but have only just been identified using the latest techniques for scientific analysis of remains. Thought to have died between 1200 and 1360AD, the bishops were found during excavations at the priory between 1957 and 1967, but their identity has remained a mystery until now. Other items, such as fragments from vestments, silver altar vessels and a gold pontifical ring were also unearthed. Archaeologists from Edinburgh-based Headland Archaeology have employed state of the art analysis to determine who the bishops were and how they died, with the examinations even revealing that they came from southern Scotland or Cumbria and what they ate. Fledgling farmers in the Middle East treasured ornamentation as much as irrigation. These ancient villagers traveled great distances to obtain green stone for making beads and pendants that held special meaning for them in a brave new agricultural world, a new study finds. Bead-making began by 110,000 years ago in what’s now Israel. But an emphasis on green beads emerged only about 11,000 years ago in concert with the agricultural revolution, say archaeologist Daniella Bar-Yosef Mayer of the University of Haifa in Israel and geologist Naomi Porat of the Geological Survey of Israel in Jerusalem. “Because beads in white, red, yellow, brown and black colors had been used earlier, we suggest that the occurrence of green beads is directly related to the onset of agriculture,” Bar-Yosef Mayer says. Alex Salmond dropped a cultural bombshell yesterday when he claimed that the Stone of Destiny, one of Scotland's most famous relics, was a medieval fake. Scottish, English and British monarchs have been crowned on the ancient coronation stone since the ninth century. It spent 700 years under the chair in Westminster Abbey after it was seized in 1296 by King Edward I, and was finally returned to Scotland 12 years ago. Archaeoleogists found part of a medieval wall during a dig in flower beds by the Master's House in Ledbury. The excavation, which took place over several days last week, was carried out by a team of experts from Worcestershire County Council, on behalf of Herefordshire Council. Now Herefordshire Council is awaiting a report on the finds, due out in a few weeks time. Council spokesman John Burnett said: "The archaeological survey was essential due to the historic nature of the site and its completion paves the way for the design brief of Ledbury's new library to be finalised." He added: "We plan to build a new library with access for disabled people, a new information centre and tourist information centre and visitor attractions with a focus on local history and culture, as well as community space." A haul of ancient coins found buried in the mud of a farmer's field could be bound for the Harris Museum. The 11 Tudor coins, which are more than 400 years old, were found by amateur metal detector user John Davis in Barton, near Preston. And the English and Spanish silverware has now officially been declared as 'treasure' after an inquest to decide who had the rights to the unusual find. A protection plan for a treasure house of ancient and modern-day history on the Roussillon Barracks and Graylingwell sites has been urged before plans for major housing developments are considered. The sites are important because of prehistoric earthworks, listed buildings and the Grayling Well itself. Links to smuggling mean the sites have great significance in social history. West Sussex County Council has recommended there should be a desk-based archaeological and environmental assessment to address the impact of the proposals in response to district council consultations on a development brief for the area. Archaeologists from Cardiff University today began excavating part of the remains of the 2,000 year old Roman Fortress in Caerleon, Newport. Led by Dr Peter Guest, of the School of History and Archaeology, the team of 50 archaeologists from Cardiff and University College London will excavate the remains of a monumental courtyard building in the south-western corner of the fortress. The building's existence was discovered during geophysical surveys undertaken by staff and students from the University and was investigated during trial excavations in 2007. This year's excavation will open a large trench over the building, which is believed to be a store-building or warehouse. It is hoped that the excavations will reveal a wealth of new information about the storage facilities, provisioning, and supply of a Legion in Britain. Men fighting over women? Nothing new there, based on the findings of a prehistoric mass grave in southwest Germany. Durham University-led researchers say that genetic evidence from 34 skeletons dating back to around 5000 B.C. shows the deaths were the result of a tribal war over the need for female companionship. While adult females were found among the immigrant skeletons, only men and children were found among the native group of skeletons buried in the village of Talheim. The lack of local females, the researchers said, shows that they were captured instead -- a possible primary motivation for the attack. "It seems this community was specifically targeted, as could happen in a cycle of revenge between rival groups. Although resources and population were undoubtedly factors in central Europe around that time, women appear to be the immediate reason for the attack," lead author Dr. Alex Bentley of Durham University's Anthropology Department, said in a prepared statement. "Our analysis points to the local women being regarded as somehow special and were therefore kept alive." COULD there be a Roman settlement buried under a Huddersfield wood? Archaeology enthusiast Stephen Priest, of Aspley, believes Grimescar Wood, near Birkby, could hide an ancient secret. A kiln from around 100AD was first found by colliers in 1580 and then rediscovered in 1955 by school pupils. Indeed an archaeological dig in 1964 uncovered ancient bowls, flagons and jars. There was a fascinating glimpse of hidden Winchelsea at the weekend when the outline of the original Greyfriars Monastery was revealed. Winchelsea Archaeological Society ran the first of its innovative tours of the buried remains of major medieval buildings on Sunday. Using research, some of which was conducted by the Society itself, the outlines of the demolished nave and bell tower of St Thomas's Church, and of the buildings of the lost monasteries of the Greyfriars and Blackfriars, were laid out on the ground. Visitors were walked around the sites by members of the Society, who explained their architecture, use and history. A treasure trove of artefacts is being recovered from what experts describe as one of the most important maritime discoveries since the Mary Rose. The late 16th Century shipwreck hails from a pivotal point in England's military history. The raised haul includes a 2m-long (7ft) cannon, which will give archaeologists an insight into Elizabeth I's naval might. The wreck, discovered 30 years ago, is situated off the coast of Alderney. Archeologists are due to start digging in Tjarnargata in the centre of Reykjavík in so called Althingisreitur or Althingi’s spot right by Iceland’s parliament, Althingi. Remains from the first settlement of Reykjavík have already been found around Althingisreitur, places such as the long house ruins (Landnámsskálinn) in Adalstaeti, a hall from the Settlement Age which was inhabited from 930-1000 and was excavated in 2001. Around 20 to 30 people are going to work on the dig which is likely to take two years. Archaeologists hope to find out more about what could be a 2,000-year-old warehouse over the next few weeks. A team of 50 are taking part in the excavation of a corner of a Roman fortress in Caerleon near Newport. The dig will open a large trench over the building, which is believed to have supplied the Roman legion. Dr Peter Guest, of Cardiff University, said: "Store buildings are a largely unknown feature of legionary fortresses." Academics offered many different ways to protect the historical and cultural heritage of Istanbul's historical peninsula, encompassing the Eminönü and Fatih districts, at a symposium Saturday discussing urban transformation and the renovation of buildings. They agreed that studies regarding the Istanbul 2010 European Capital of Culture project, or ECOC, should focus not only on the renovation of buildings but also on the protection of cultural heritage. Research on the cemeteries and the gates of the city walls and the history of Babıali Street in Eminönü district, which has long been associated with intellectuals, is essential, according to academics. As the controversial urban transformation, as well as the renovation of historical buildings, continues on the historical peninsula, academics are trying to raise awareness of the forgotten cultural heritage, focusing on the gates scattered around the city walls. In an increasingly globalized world, cultural distinctiveness is becoming a value that requires careful protection, leading to a modern approach that preserves local historic structures through branding, economic calculations and digital media, experts and government officials agreed at a recent conference. At the 11th World Conference of Historical Cities held in Konya, Akira Fujiwara, mayor of Nara City in Japan, stressed the importance of preserving the authenticity of existing structures and the dangers of the uniform nature of globalization. Read about the Sea Stallion and its historic voyage to Dublin. About the adventure and sailing that nobody has dared to do for a 1000 years. About the crew on board and the family aboard. ONE of the most complete Iron Age settlements ever excavated in the north east has been unearthed at a Northumberland surface mine. The remains of approximately 50 'roundhouses' in an enclosed two-hectare area were found at Banks Mining's Delhi surface mine on the Blagdon Estate near Seaton Burn. A team from Tyne & Wear Museums Archaeology has just completed a five-month archaeological excavation at the site, unearthing and recording a large amount of information which will improve experts' understanding of the region during this period of history. OPENCAST operations have revealed the remains of at least 50 Iron Age homes in Northumberland. The remnants of the roundhouses, in a two-hectare area enclosed by a ditch and bank, have been found at Banks Mining’s Delhi surface mine on the Blagdon Estate near Seaton Burn. It is one of the biggest settlements ever excavated by archaeologists in a single operation in the North East. The job by Tyne and Wear Museums Archaeology took five months. Archaeologists in Jordan have found what may be the oldest remains of Christian worship; a church dating back almost 2,000 years. The church remains were found in a cave underneath Saint Georgeous Church which itself dates back to 230 AD. The site is situated in northern Jordan's Rihab region near the Syrian border, home to a total of 30 churches. It is also believed that Jesus and the Virgin Mary passed through the area. Jordanian archaeologist Abdel-Qader al-Housan said this week there was evidence that the cave was used as a church by 70 followers of Christ in the first century to perform Christian rituals. Researchers from University of Leicester Archaeological Services (ULAS) have recently completed work on the results of three closely related Bronze Age round barrows excavated at Cossington, Leicestershire. Their excavations revealed a variety of burial practices from Bronze Age, Iron Age, Roman and Anglo Saxon times, showing how the three barrows were used in repeated ceremonies to honour the dead. They offer the first definite example of an Anglo Saxon cemetery sited on an earlier monument to be found in Leicestershire. One of the barrows included the crouched burial of a child of around eight years, who lay with grave offerings including two pots, a stone bowl and three flint knives. One of the knives had been made from a much earlier object, perhaps making a physical link to past ‘ancestors’. An extremely precious statuette of Venus - 15 cm high was found in archaeological excavations in Rome's Trimamium. This was announced by Nikolay Nenov, director of Regional History Museum in Ruse. The bronze figure was found in a pit from Roma's period, where before that were discovered 36 coins that dates from I-III century. Archaeologists have dug up the skeletons of 16 horses and a two-wheeled chariot in a grave dating back to the Roman Empire in northeast Greece, the culture ministry announced Wednesday. Half of the horses were buried in pairs, while two human skeletons were also discovered in a dig near Lithohori, in the Kavala region. Near to the remains of six of the horses archaeologists found a shield, weapons and various other accessories. Chavín de Huántar, the type site of the Chavín culture, is one of the oldest major sites in Peru, thriving between 1500 and 400 BC. Chavín, featuring terraces and plazas and platforms of dressed stone, controlled and increased regional trade and developed a unique art style. Remarkably, its people did not conquer by warfare, but simply influenced the cultural development of northern Peru, participating in a broad interaction sphere. Global Heritage Fund seeks the complete conservation and restoration of this UNESCO World Heritage Site. First-century burial grounds near Rome's main airport are yielding a rare look into how ancient longshoremen and other manual workers did backbreaking jobs, archaeologists said Monday. The necropolis near the town of Ponte Galeria came to light last year when customs police noticed a clandestine dig by grave robbers seeking valuable ancient artifacts, Rome's archaeology office said. Most of the 300 skeletons unearthed were male, and many of them showed signs of years of heavy work: joint and tendon inflammation, compressed vertebrae, hernias and spinal problems, archaeologists said. Sandy sediment helped preserve the remains well. Archaeologists have discovered a nearly 2,000-year-old, intact necropolis on the outskirts of Rome that gives a rare insight into the lives of poor laborers in the Roman era. The simple burial complex, dating to the 1st and 2nd century A.D. when the Roman empire was at its height, held about 320 tombs bearing well-preserved skeletal remains and artifacts like lamps and jewelry to accompany the dead into the after-life. Archaeologists on Monday hailed the discovery as significant for offering a rare glimpse into the beliefs and traits of one of the poorest sections of Roman society -- laborers or slaves who probably carried merchandise at a nearby port. A team led by University of Manchester archaeologist Professor Julian Thomas has dated the Greater Stonehenge Cursus at about 3,500 years BC – 500 years older than the circle itself. They were able to pinpoint its age after discovering an antler pick used to dig the Cursus – the most significant find since it was discovered in 1723 by antiquarian William Stukeley. When the pick was carbon dated the results pointed to an age which was much older than previously thought – between 3600 and 3300 BC – and has caused a sensation among archeologists. A team of forensic scientists at the University of Copenhagen has studied human remains found in two ancient Danish burial grounds dating back to the iron age, and discovered a man who appears to be of Arabian origin. The findings suggest that human beings were as genetically diverse 2000 years ago as they are today and indicate greater mobility among iron age populations than was previously thought. The findings also suggest that people in the Danish iron age did not live and die in small, isolated villages but, on the contrary, were in constant contact with the wider world. On the southern part of the island of Zealand in Denmark, lie two burial grounds known as Bøgebjerggård and Skovgaarde, which date back to the Danish iron age (c. 0-400 BC). Linea Melchior and forensic scientists from the University of Copenhagen analysed the mitocondrial DNA of 18 individuals buried on the sites and found that there was as much genetic variation in their remains as one would expect to find in individuals of the present day. The research team also found DNA from a man, whose genetic characteristics indicate a man of Arabian origin. Britain is losing its heritage to "metal detectorists", erosion and ploughing, according to the nation's best known archaeologists. "There is a massive problem," says Tony Robinson, presenter of Time Team, the long running Channel 4 series that features high speed archaeological digs. Robinson, who works with the charity Council for British Archaeology, said that there is a need for better education, so that more people come to realise that archaeology "is not just important but irreplaceable," he said at the Cheltenham Science Festival, sponsored by The Daily Telegraph. ATHENS, Greece (AP) — Greek authorities say subway construction work in the northern city of Thessaloniki has unearthed an ancient grave with a wealth of golden jewelry. The 2,300-year old grave contained a female skeleton, accompanied by four gold wreaths and gold earrings in the shape of dogs' heads set with semiprecious stones. A Culture Ministry statement said Friday that the grave goods included a bronze mirror, a bronze vase and six clay pots. More than 200 museum staff in London have walked out in a row over pay. Workers at the Museum of London and the Museum of London Archaeology Services have gone on strike in protest at a two-year 2% pay rise. The Prospect union, which called the one-day strike, accused the government of "tying the hands" of staff. The union added the below-inflation deal had been intended to come into effect during 2007 and 2008 and therefore had come 13 months late. Archaeologists will begin a six-week dig ahead of the £150m redevelopment of a Berkshire town. A team from Oxford Archaeology will undertake the dig from Monday at the site of the Park Way redevelopment in Newbury. The regeneration project will see shops, including a department store, and scores of homes built. The project means the temporary closure of Jack Street car park and the loss of some parking in Northbrook Place. Marine archaeologists have salvaged ancient wine vases piled on the hull of a 2,350-year-old cargo ship lying on the seabed off Cyprus' southern shore, the Mediterranean island's Antiquities Department said Saturday. The vessel is one of only a few such commercial ships dating from the late Classical period (mid-4th century B.C.) to have been discovered so well-preserved. The ship rests under 45 meters (150 feet) of water some 2 1/2 kilometers (1 1/2 miles) from shore. Divers last month brought to the surface only a few of the more than 500 amphorae — terra-cotta vases used in antiquity to ferry liquid and other foodstuffs - for more study. They are of the type that carried red wine from the Aegean island of Chios — reputed to be the most expensive of classical antiquity, the Department said in a statement. Local archaeologists have joined the nation's favourite specialist film crew in Looe to uncover the history of two derelict chapels. Channel 4's Time Team came to the town last week and dug trenches in the fields at Hannafore, West Looe and on Looe Island to delve into the history of the chapel ruins. The two religious sites, one on the island which dates back to 1139, and the other opposite on the mainland at Hannafore, were the focus of the dig and the team wanted to find out if they were linked or had pilgrim connections. Tony Robinson and Mick Aston, along with other regulars from the show, spent last Wednesday, Thursday and Friday filming different scenes for the programme which is due to be aired next year. The experts discovered a lot more than they expected including human bones on the island and a standing stone in the gardens. On the mainland at the ruins on top of the hill they also found human bones, a post hole, and pieces of pottery which may date back to the 13th century. Another trench was also set up at the opening of the field at Hannafore and a wall was discovered which was believed to be part of a monk's house. A new blockbuster exhibition in the Swiss capital Berne brings together treasures from the Middle Ages to illustrate a turning point in European history. The show, running until Aug. 24, recreates the times of Charles the Bold, Duke of Burgundy, who poured his vast wealth into diplomatic and military efforts to knit his domains in France and the Low Countries into a single kingdom. But the duke, whose French title "Charles le Temeraire" also translates as Charles the Rash, lost almost everything in his bid to create a new empire in the heart of 15th century Europe. The workaholic duke's efforts to create an effective administration to rule his scattered territories served as a model for other European princes. An intriguing discovery of a carved Pictish stone has been made in Shetland, at a site known for yielding Pictish treasures. The sculptured stone engraved with mysterious symbols – identifiably Pictish – was turned up in Cunningsburgh, where another carved stone was found in 1992. Shetland, though somewhat isolated then as now, was part of the Pictish kingdom which stretched across northern Scotland in the country's pre-Christian era from 400-800AD. "It was found by the gravedigger," explained Dr Ian Tait, Curator of Collections at Shetland Museum and Archives. "The place where it was found has been a graveyard since at least the Middle Ages, and before that it was almost certainly a centre of power." "The gravedigger was fortuitously the same man who found the other stone in 1992, so although he's not an archaeologist he knew something was afoot when he saw this one and he brought it to me in the museum." A medieval church which tumbled from an eroding cliff into the sea has been rediscovered by marine archaeologists. They believe the ruins they have found are St John's church, the biggest in Dunwich which was lost to the sea off the coast of Suffolk. Dunwich was once a thriving community before being swallowed up by the North Sea more than 500 years ago. Experts are using the latest acoustic imaging technology to uncover clues about the lost city in the North Sea. EXPERTS now believe a dozen skeletons discovered in a mass grave in the centre of Oxford may have belonged to executed criminals from Saxon times. A team of three archaeologists have been digging in the quadrangle of St John's College in Blackhall Road, off St Giles, for almost two weeks since the discovery was made. The bones of 12 or 13 bodies have gradually been uncovered after a body part was discovered 80cm below ground level by diggers excavating the plot before a new quadrangle is built. City archaeologists have labelled the find the most exciting in Oxford for nearly half a century, and predict more bodies could be found in the area. Ten years after he first set eyes on it, one of Britain's foremost archaeologists was visibly moved when he saw Seahenge in its new home yesterday. Bronze Age expert, author and Time Team presenter Dr Francis Pryor toured the display of preserved timbers from the 4000-year-old monument as King's Lynn Museum officially opened after its £1.2m facelift. Seahenge is the centrepiece of the revamped museum, housed in a 150-year-old gothic Union Baptist chapel off Blackfriars Street. “Seahenge is an extraordinary sight, I can remember when I first saw it,” he said. “Maisie took me across this muddy beach and when we got there all the hair stood up on the back of my neck. It was a transcendental moment, it was very moving. Four gold wreaths decorated with olive leaves, gold earrings and other Hellenistic-era artifacts have been discovered in one of the 700 tombs of an ancient graveyard unearthed during construction work for the Thessaloniki metro in the Sintrivani district, archaeologists announced on Friday. All four gold wreaths were in the same tomb, set at the head and feet of a dead female in an unusual manner. Archaeologist said that the discoveries were all made in the past few days in what was originally considered the city's cemetery for the poor. A culture ministry announcement said that a rectangular-shaped pit grave was discovered at the intersection of two rail lines in the Syntrivani station and its outer walls had been partly penetrated and destroyed by a sewage pipe leading to the central library building of Thessaloniki's Aristotelian University. Dunwich, on the Suffolk coast, was a thriving metropolis before a series of storms and sea surges consigned the city to the North Sea five centuries ago. Stuart Bacon, a marine archaeologist, has spent the last 30 years trying to discover the secrets of the city through a series of dives, but due to extremely poor visibility he has never seen the ruins. Scientists will use the latest acoustic imaging technology to penetrate thick layers of silt and create the first images of the lost city, which lies between 10 and 50ft down. A Kings Manor Found in Greenland? A new interpretation of Grænlandslýsing ,a script by Ívar Bárdarson, suggests that Hvalseyrarbær an old structure from the middle ages situated in Qaqortoq in Greenland is in fact the old Þjóðhildarstadir. Þjóðhildarstadir was the Norwegian king’s manor in Greenland in the Middle Ages. The new interpretation comes from Jóhannes Bjarni Sigtryggsson, a grammarian at the Árni Magnússon Institute of Icelandic Studies. He received a request about how to understand certain text fragments from Grænlandslýsing that describe the lost manor. He could not understand the text in any other way than Þjóðhildarstadir were to be found in Hvalseyrarfjördur fjord.. “It is not impossible that the text fragment describe Kambstadarfjördur fjord, but that is the normal reading of the text” Sigtryggsson told Morgunbladid. The Hill of Tara will be debated by leaders in the world of archaeology at an international conference next month. A round table session in Dublin about the ethics of the construction of the controversial M3 motorway will form part of the Sixth World Archaeological Congress (WAC-6). The non-governmental group - which is the only archaeological organisation with elected global representation - holds an international convention every four years to promote the exchange of archaeological research, professional training, and the conservation of archaeological sites. The M3 Motorway/Hill of Tara will be one of two themes debated by the WAC Ethics Forum during the event at University College Dublin from June 29 to July 4. Archaeologists have made remarkable discoveries at an ancient burial ground. Excavations in Cossington revealed a variety of burial practices from Bronze Age, Iron Age, Roman and Anglo-Saxon times, showing that three barrows were used repeatedly in ceremonies to honour the dead. The finds are the first definite example of an Anglo-Saxon cemetery, on the site of a monument at least 1,000 years older, that have been found in Leicestershire. Researchers from University of Leicester Archaeological Services have now published the results of their excavations. A PICTISH stone found in Cunningsburgh has been described as the most important archaeological discovery in Shetland for 10 years. It was found in Mail cemetery by gravedigger Malcolm Smith, his second such find in 16 years. The sculptured stone is inscribed with mysterious symbols and dates back to the dark ages. It is the ninth stone of its kind to be discovered in the same area in the last 130 years. Its significance has been high­lighted by Dr Ian Tait, collections curator at the Shetland Museum and Archives. There is to be a one day strike by Molas archaeologists on Monday 9th June to highlight their refusal to accept a 2 per cent wage rise. Our one-day strike on Monday 9th June is over pay. Our pay award for the financial year 2007/08 was 13 months late. When it finally arrived, it was 2%, less than half the current rate of inflation. Striking today is not a step we have taken lightly, but 86% of us voted for today’s action. As archaeologists and specialists, we are committed to making the Museum of London Archaeology Service a world-class organisation. But we have been forced into taking industrial action by the government’s crazy pay policy. The government insists that public sector pay is restricted to 2%. Ironically, Museum of London bosses want to pay more and can afford to pay more, but have been forbidden from doing so by Gordon Brown. Seit Mai diesen Jahres führt das sächsische Landesamt für Archäologie Ausgrabungen im Vorfeld von Baumaßnahmen im Erdgeschoss des Mathematisch-Physikalischen Salons im Zwinger durch. Dabei wurde die gut erhaltene unterirdische Wasserversorgung einer großen Brunnenanlage mit Kanälen, Zuführungen und Auslässen freigelegt. Sie fanden sich nur wenige Zentimeter unter den neuzeitlichen Bodenplatten. Der Befund gehört eindeutig der Raumausstattung des ursprünglich im Erdgeschoss angelegten Grottensaales von 1714, der in einem Kupferstich von M. Daniel Pöppelmann aus dem Jahre 1729 als überaus reich dekorierter Raum mit stuckverzierter, bunt bemalter Decke und Wänden. Neben der Brunnenanlage an der Stirnwand zeigt der Stich auch ein sogenanntes „Scherzwasser“, dünne Wasserfontänen, die durch Düsen im Fußboden mitten im Raum die Besucher überraschend durchnässten. Im frühen 19. Jh. wurde der Grottensaal umgebaut, da die Decke durch die Feuchtigkeit der Wasserspiele beschädigt worden und einsturzgefährdet war. Am Vorplatz des LWL-Landesmuseum für Kunst und Kulturgeschichte am Domplatz gräbt derzeit die Stadtarchäologie Münster im Auftrag des Landschaftsverbands Westfalen-Lippe (LWL). Nicht nur im Museum, sondern auch in der Baugrube davor sind derzeit kulturhistorische Objekte zu entdecken. Anlass der voraussichtlich noch bis September andauernden Grabung ist der Neubau des Museums, der im Frühjahr 2009 beginnen soll. "Uns ist es sehr wichtig, dass dieser Bereich noch vor den Baumaßnahmen archäologisch untersucht wird, denn danach wird das neue Museumsgebäude diesen Platz hoffentlich über viele Jahre belegen", sagt Museumsdirektor Dr. Hermann Arnhold. One of the oldest bazaars in the world, Istanbul's Grand Bazaar is at risk of collapse unless necessary measures are taken, Takvim daily reported yesterday. The Grand Bazaar's Tradesmen Association president, Hasan Fırat, said he was worried that the walls of the bazaar have started resembling a "spongy cheese." He said that even though the 547-year-old building had withstood numerous disasters such as earthquakes and fires, it currently is at risk of collapsing at any moment. Fırat explained this was due to diggings and excavations carried out to enlarge or conjoin shops in the bazaar. He said that the bazaar's roof was covered with lead when it was first constructed, but that most of the lead was stolen over the years. The lead was replaced with cheap roof tiles by shop owners that wanted to stop rain from ruining their shops. Fırat explained the tradesmen had no other choice as they could not receive a reply to their application at the Foundations Commission for repairing of the roof's lead. “All the rain now diffuses into the building's foundation,” he said. A PREHISTORIC burial site near Sevilla could be demolished to make way for a supermarket. The 4,500-year-old site - which is the largest Copper Age settlement in the Iberian Peninsula, ranking alongside Stonehenge - would also make way for an old people’s home and houses. This is despite the Montelirio dolmen in Castilleja de Guzman being declared a BIC (site of specific cultural interest) in 2003. A glimpse of mediaeval life - and death - in the heart of Norfolk has been revealed after more than 60 skeletons were found under a town centre street. Contractors charged with laying pipelines in part of Reepham, in north Norfolk, made the grim discovery as they opened a trench in the town's Church Street. But the road's name gave some clue to the fate of the bodies. Archaeology work carried out since the discovery last year has found that underneath Church Street there was part of an old graveyard. A MEDIAEVAL skeleton, a human tooth and hoardes of Roman pottery have been found buried under modern-day Worcester. Archaeologists excavating the former Worcester Royal Infirmary site, in Castle Street, have unearthed more than 1,700 years of history. Beneath the five-acre site, which is being transformed into the University of Worcester's new city campus, they found evidence of a busy, noisy, dirty Roman district. As well as two Roman buildings and large pits used for disposing rubbish, they found proof of metal-working and huge amounts of pottery, some of which proves the people of Roman Worcester had trading links with Roman France. Archäologen des Landschaftsverbandes Westfalen-Lippe (LWL) haben dank der Aufmerksamkeit eines Bürgers eine 5.000 Jahre alte Grabanlage von frühen Bauern in Büren-Brenken (Kreis Paderborn) wieder entdeckt. Ein Modell veranschaulicht, wie die Archäologen den Bau der Großsteingräber rekonstruieren. Foto: LWL/Maas. "Das Grab ist vor 150 Jahren erstmals erwähnt worden, doch ist das Wissen um die genaue Fundstelle im Laufe der Zeit verloren gegangen. Wir sind froh, dass wir seine genaue Lage nun kennen", erklärt Dr. Hans-Otto Pollmann, Archäologe der LWL-Außenstelle Bielefeld. ITS grand ruins may tower high over the North York Moors – but Byland Abbey has not enjoyed a reputation as glamorous as rivals at Fountains and Rievaulx for a very long time. As its cloisters collapsed over the centuries, so the true picture of how the abbey looked when it was built in 1177 faded and died. While historians knew that the Cistercian monks built the abbey on a drained swamp, they believed that the ruins still viewable marked the boundary of its grounds. But now archaeologists working at the site near Coxwold in North Yorkshire believe that Byland Abbey may have been even more spectacular than previously thought. The team, led by Professor Terry Brown and Ms Keri Brown at the Faculty of Life Sciences and Professor John Prag at the Manchester Museum, have been studying Grave Circle B at Mycenae for 10 years. Their paper Kinship between burials from Grave Circle B at Mycenae revealed by ancient DNA typing appears in the Journal of Archeological Science. A BOOK by a Castletown author providing the first detailed view of Viking settlements in the Island will be published on July 1. 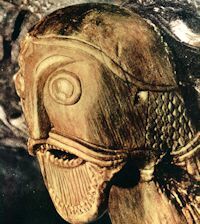 It is written by a leading specialist in the study of Viking archaeology, Sir David Wilson — who was director of the British Museum between 1977 and 1992. It is thanks to his parents' decision to move to the Island more than 60 years ago that he developed an interest in Viking Age archaeology. The Vikings in the Isle of Man focuses on the Island between the end of the 9th Century and the middle of the 11th Century and looks at the 'wealth of its archaeological remains, its remarkable series of sculptured memorial stones, its place names, and even its present day literature' which are seen by historians as a 'useful microcosm of a settlement in the West'. Neolithic age men fought over women too, according to a study that provides the most ancient evidence of the lengths men will go to in the hunt for partners. Many archaeologists have argued that women have long motivated cycles of violence and blood feuds throughout history but there has really been no solid archaeological evidence to support this view. Now a relatively new method has been used to work out the origins of the victims tossed into a mass grave of skeletons, and so distinguish one tribe from another, revealing that neighbouring tribes were prepared to kill their male rivals to secure their women some 7000 years ago. The Sea Stallion is back in its element! In a well-oiled operation last night, the Sea Stallion was returned to the harbour in Dublin. The ship must now be got ready for the long journey home. Via a total of five lifts from enormous cranes and giant trucks, the ship was hoisted out of Collins Barracks’ huge yard, over the electric railway and a large memorial, and driven all the way through Dublin’s streets to be put quietly and without fuss back in the Liffey. This was an operation that really called up boyhood feelings and dreams of toys worth millions! Giant cranes towered up to face each other like prehistoric monsters. Slowly they turned around their axes and lifted the ship quietly and carefully with almost loving devotion. The Middle Ages, often referred to as Medieval times, spanned a long period in history from the 5th to the 16th Centuries. During this time, European society and culture enjoyed many advances and it could be argued that the quality of life improved beyond recognition. One area which progressed steadily was medicine and the treatment of disease, although these days we would not touch some of the medicinal compounds with a bargepole, let alone administer them to patients. One substance in popular use was mercury, used variously in gilding of jewellery and weapons, in inks and, yes, as medicines. Most Europeans would have had some mercury in their bodies, a lot more than background levels today, but those working with mercury compounds or being treated with them suffered far greater exposure. Mercury was used to treat diseases with symptoms that manifested themselves on the skin. One such disease was syphilis, which was widespread at the time and was treated by the administration of mercury vapour and a mercury-containing skin tonic. Leprosy was another common disease with skin lesions, so might well have been treated with mercury. This premise has been examined by European scientists who have measured the levels of mercury in human bones from the Medieval period. A swatch of hair, so thick and tangled it could have belonged to man or bear, has provided answers about a mysterious culture and its origins half a world away. The culture is that of the first people to have occupied Greenland some 4,500 years ago. Known to archaeologists as the first Paleo-Eskimo culture, it gave way to a second Paleo-Eskimo culture some 2,500 years ago and then 700 years ago to the Thule culture of the present-day Inuit peoples. Some archaeologists suggested that each culture might have descended from its predecessor, but proof required obtaining DNA from the earlier cultures and comparing it with that of the Inuit. Eske Willerslev, an expert on ancient DNA at the University of Copenhagen, recently spent two months in the frozen wastes of northern Greenland. Dr. Willerslev wore a full body suit while digging so as not to contaminate samples with his own DNA. But human remains from the early culture are hard to find, and archaeologists have speculated that the dead were laid on the sea ice. Stonehenge stands out against night clouds set aglow by lights in nearby Amesbury town in an undated photo. Newly dated human remains unearthed at the megalithic circle in southern England reveal Stonehenge was a place of burial from its earliest beginnings some 5,000 years ago, said Mike Parker Pearson, who leads the Stonehenge Riverside Project. Archaeologists have said the cremation burials found at the site might represent a single elite family and its descendents - perhaps a ruling dynasty. One clue to this idea is that there are few burials in the earliest phase, but that the number grows larger in later centuries, as offspring multiplied.